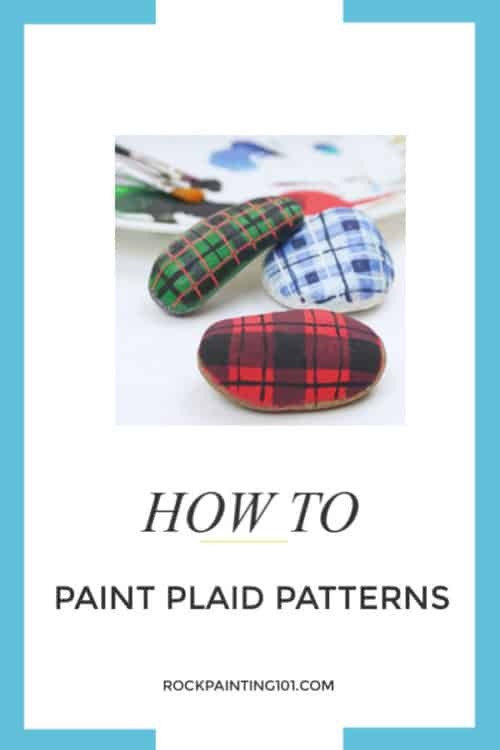 Learn how to paint plaid patterns with these step by step instructions and video tutorial. 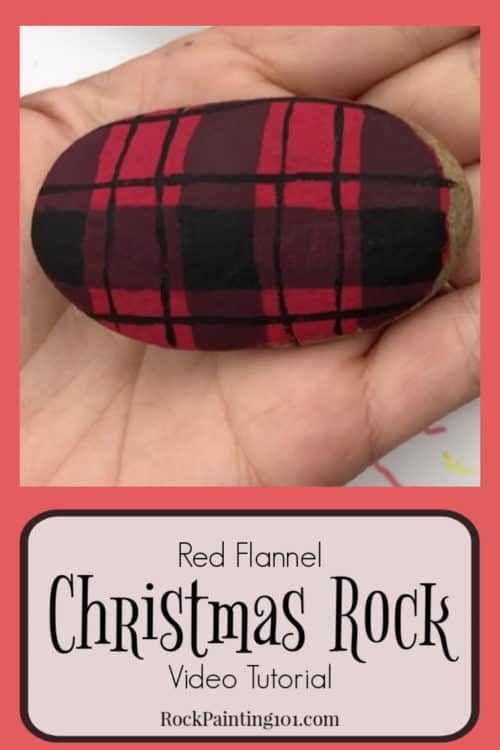 We used it to paint a fun Christmas rock, but you can use it for any project you have! Nothing quite says cooler weather like flannel. It’s comfy, cozy, and can come in any color combination your heart desires! 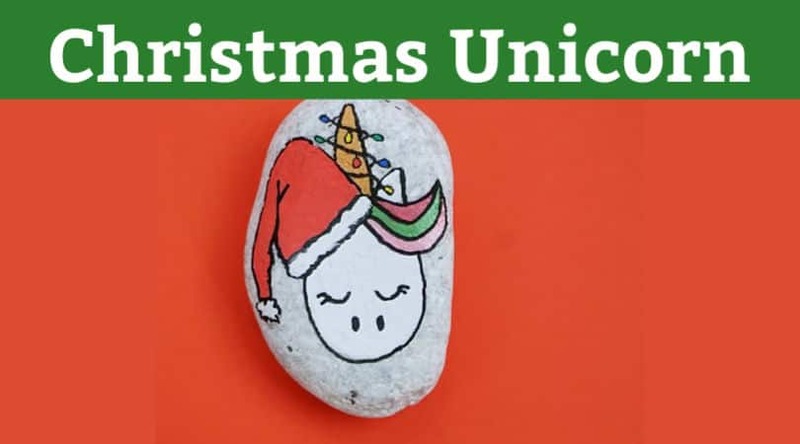 So if figured… why not throw it on a rock! 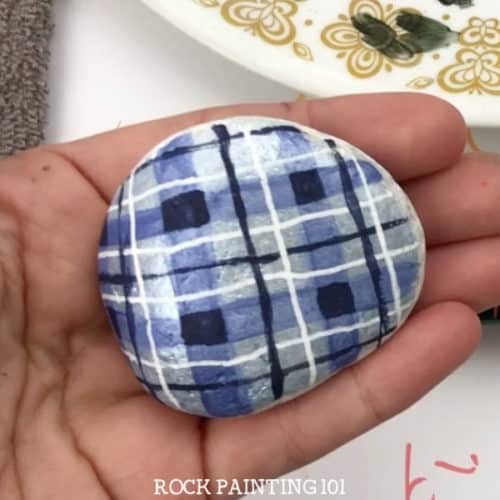 Check out this fun tutorial learn how to paint plaid. 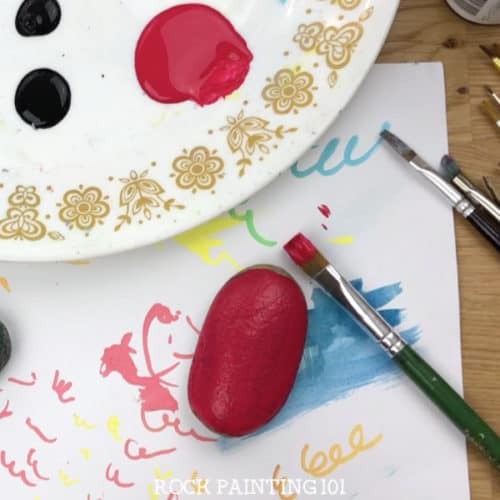 You can use this idea to paint fun Christmas rocks, fall painted rocks, or just to make something look cozy. 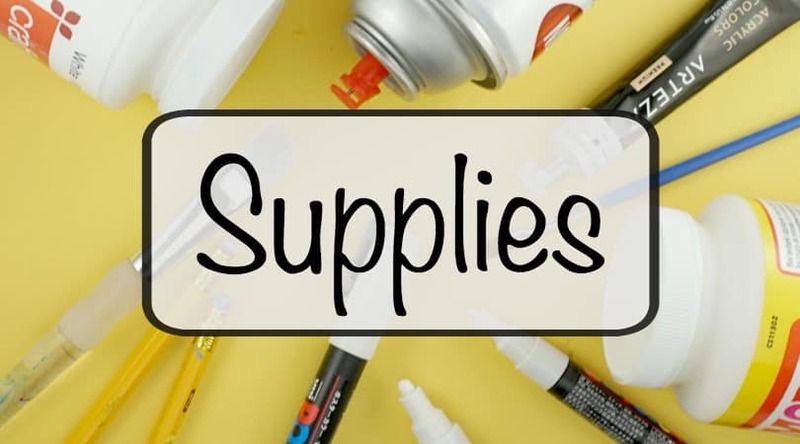 Grab all the supplies you need in our Amazon shop! 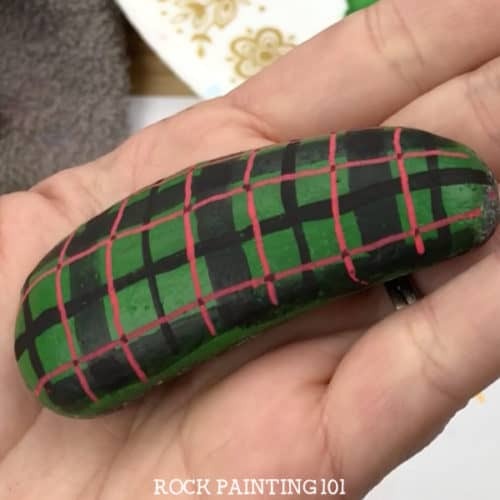 To paint plaid, you can just use acrylic paints. 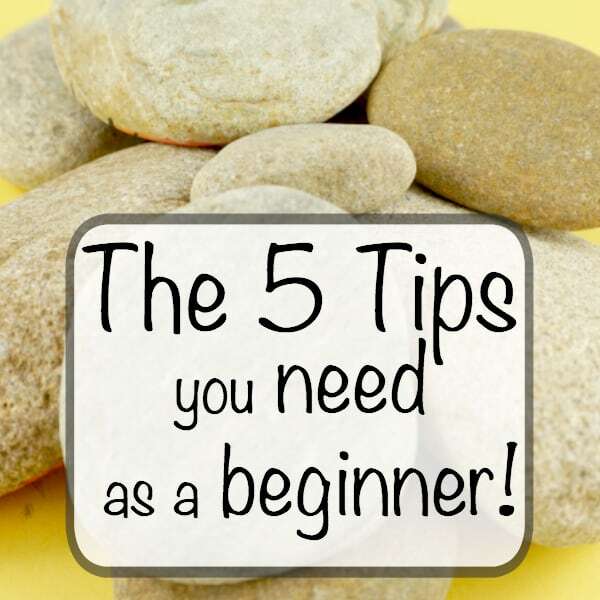 However, there are a couple of specific paint brushes that you will need. You will need a nice small square tipped brush to create nice crisp lines. Also, a small liner brush. These come standard in a lot of paint brush packs. Here is a good pack that contains both of these brushes. 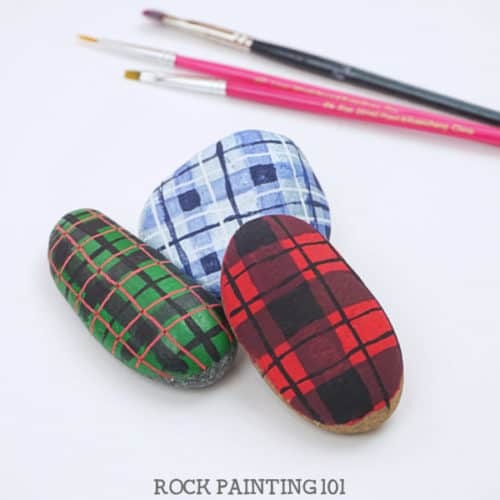 First, you need to pick the two main colors for your plaid pattern. 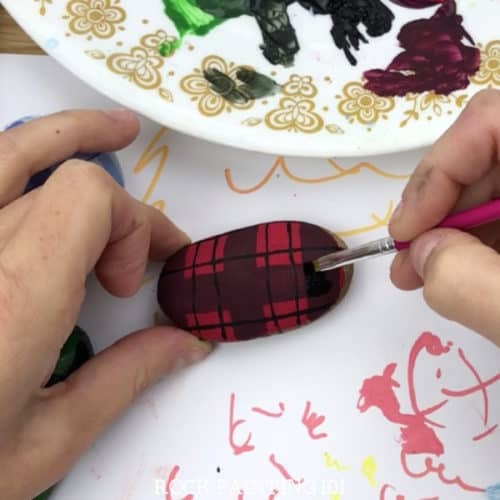 For the step by step pictures below we are going with a classic black and red pattern. 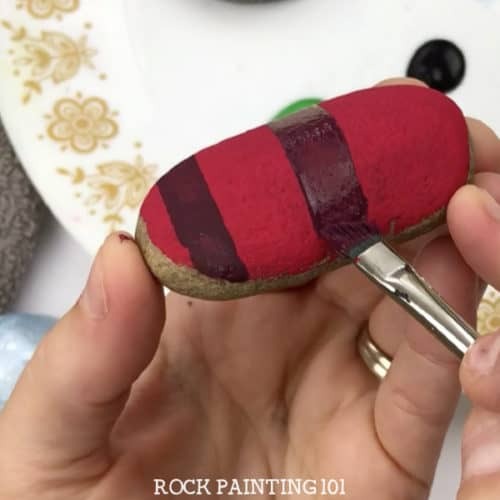 Start by giving your rock a base coat with your main color. In this case red. You might need two coats to make the color pop how you like. 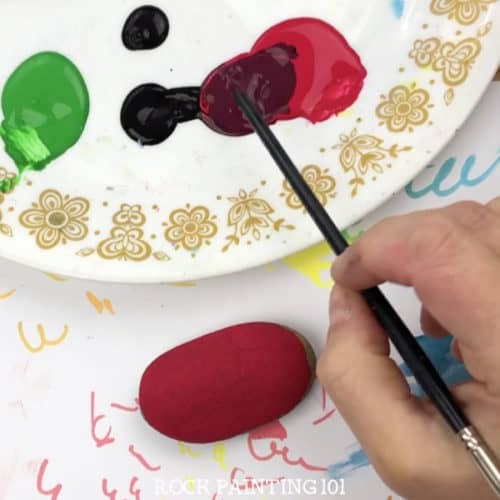 While that dries blend together a little bit of both colors using the back side of your brush. 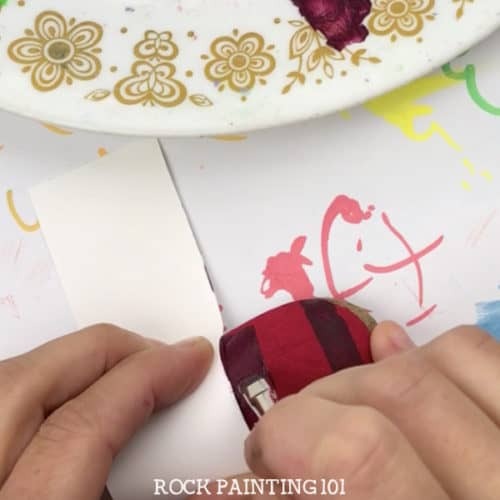 You want this blended paint to be a good mix of the two. Not too dark, not too light. 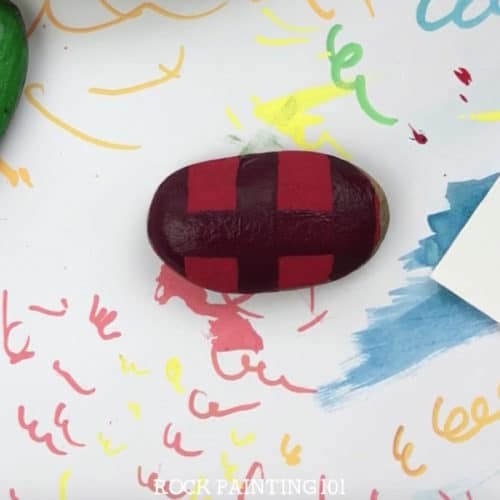 Use the square edged brush and a small amount of the mixed paint to add thick stripes. You can use a piece of cardstock to help guide a straight line. 101 Tip: Do not overload your brush with paint. It can cause the paint to bulge out the side ruining your crips straight lines. Once you have your vertical stripes on go back and create a horizontal one. Take your time and add a second coat if you need. Once the thick lines have had time to dry, it’s time to add the thin black lines. Again, light on the paint so it doesn’t bulge too much. 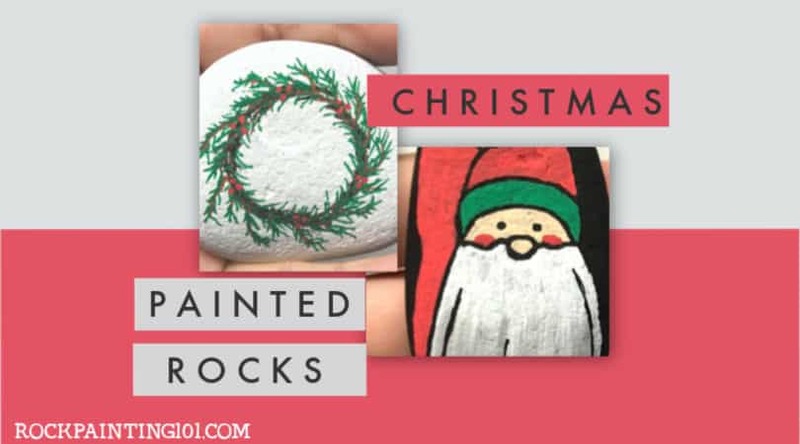 Related Project: Get more holiday inspiration with these Christmas painted rocks! 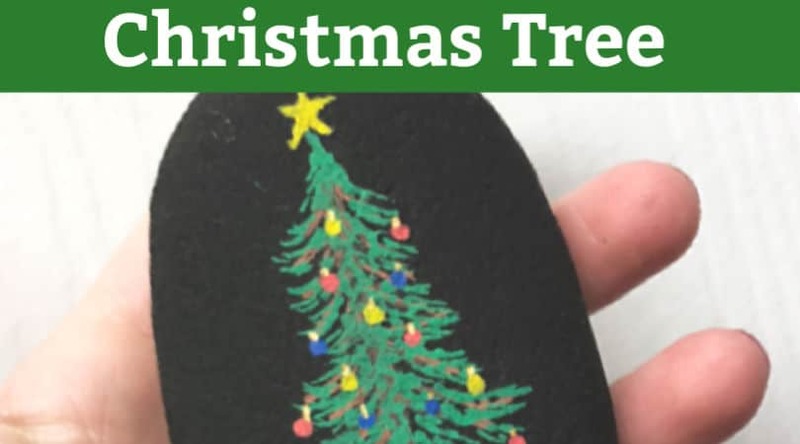 If you have a hard time with these you could also grab a black paint pen. This step was the hardest part for me! Last you need to fill in the squares where the thick lines overlap. 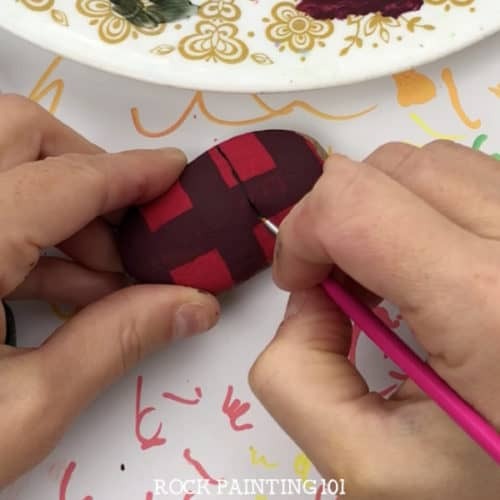 Using a small square edged grab some black paint. Wipe the excess paint off of both sides, so you have a nice crisp edge and no paint hanging over. Start in one of the corners press and pull the paint back and towards the middle of your square. The main thing is just to take your time to get that nice crisp edge. 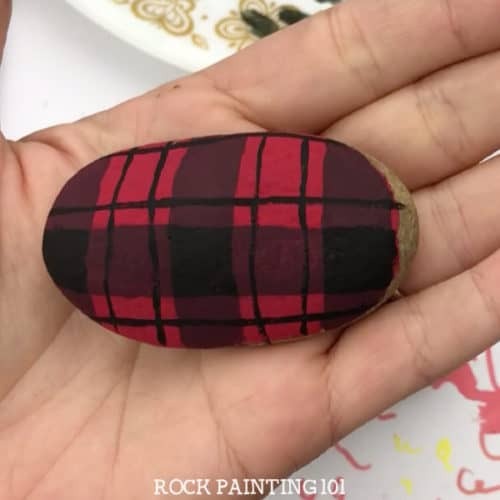 This is what will make your plaid pattern rock! 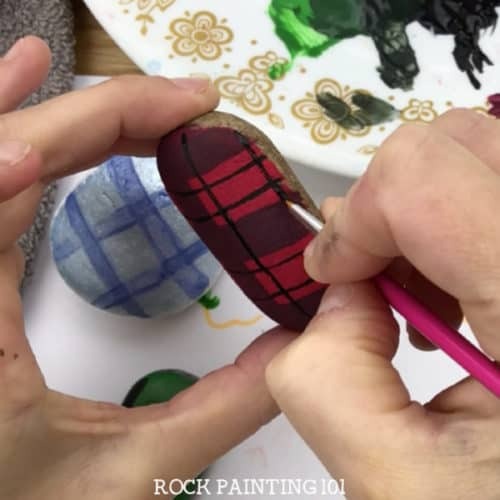 This plaid painting idea can be done in multiple color schemes. You can even try adding in a third color! Please follow us on YouTube!